Dr. Yonca Bulut is a Professor in the Division of Critical Care Medicine, Department of Pediatrics. She is a graduate of University of Ankara School of Medicine. She completed her pediatric residency training at Akron Children’s Hospital at Akron, Ohio and her pediatric critical care fellowship training at Johns Hopkins University, Baltimore, Maryland. She has been a member of the faculty of the UCLA School of Medicine since 1997. In addition to her position as an attending physician in the Pediatric Intensive Care Unit, Dr. Bulut is an active researcher who is studying the role of iron in various infections and in sepsis. Detailed information on the different types of anemia, including aplastic anemia, anemia of folate deficiency, glucose-6-phosphate dehydrogenase deficiency, hemolytic anemia, iron deficiency anemia, megaloblastic anemia, and Sickle Cell disease. Children who need close or specialized monitoring will spend time in the pediatric intensive care unit (PICU) or neonatal intensive care unit (NICU), depending on their age. Intensive care is needed for children who have had certain types of major surgery. These include heart operations, organ transplants, or neurosurgery. 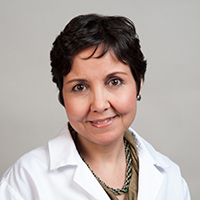 Dr. Bulut is member of the UCLA Center for Iron Disorders. Her research focus is innate immunity, and specifically the role of iron and the iron-regulatory hormone hepcidin in host defense against bacterial and viral infections. Do No Harm: Is Iron Supplementation Worsening Infections in Children?